The 5 Best Pho Restaurants in Maine! 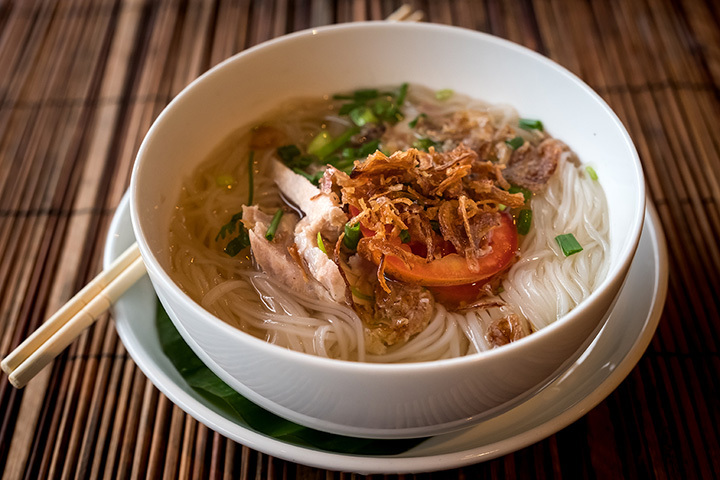 Pho is a traditional Vietnamese noodle soup consisting of broth, rice noodles, a few herbs and vegetables, and either beef or chicken. In the recent years, it has become a popular dish served at Vietnamese and Asian restaurants. It’s a perfect dish for a cold night in Maine. Here are the best restaurants serving up pho in the state! Opened in 2013 in Westbrook, Phoever Maine is an authentic Vietnamese restaurant owned and operated by a local Vietnamese family. Specializing in pho, the restaurant also has other Vietnamese dishes on the menu. Choose from seven different pho noodle bowls all created with the tasty house-made broth. Little Saigon in Brunswick is a traditional Vietnamese noodle bar serving up fresh, authentic, and home-cooked Vietnamese dishes. The menu contains traditional appetizers like spring rolls and rice plates. You’ll also find plenty of delicious pho noodle bowls on the menu using traditional fresh vegetable garnishes. Huong’s Vietnamese Restaurant is an authentic and affordable Vietnamese restaurant in downtown Portland. Open daily, pho is the perfect dish for either lunch or dinner. All three broths, chicken, beef, and vegetarian is made fresh in house daily. The Veranda Noodle Bar and new location on Commercial Street in Portland is a longtime local favorite. Serving hot bowls of broth and noodles, the pho-fuh and bun are the two most popular soup dishes served here. The menu contains other Vietnamese dishes as well. Que Huong Restaurant is a local authentic Vietnamese restaurant in Biddeford. The menu has all the traditional dishes like pho, egg rolls, fresh spring rolls, and more. Additionally, they serve Vietnamese coffee and imported Chinese and Vietnamese beer.